Siblings with a Mission offers support to siblings of all ages and backgrounds through stories. We share stories written by siblings and sibling supporters to provide suggestions to others and to spread awareness about the sibling experience. We are always looking for siblings and sibling supporters to share their stories! Please contact us if you would like to share your story! We would love to hear from you. Click here to find ideas and suggestions for writing your story! Click here to learn about our publishing procedure. You can view all of the stories we have posted below. You can also click on the links below to visit the story columns for each Support Group. "Growing up as I had for years made me realize I am lost. In the last year I found myself, yet I still experience a lot of doubt. I classify myself as faithful, hopeful, and determined, and I know I want to make a difference. It is just difficult to battle the distortions that stop me from amounting to anything." In her story, Kathryn highlights the difficulties that many siblings in the special needs community experience. It is not easy to be a sibling. At times, siblings can feel alone, lost, and imperfect. Because of the challenging situations siblings commonly face, it is incredibly important for siblings to receive support. It is important for siblings to be heard. Please read Kathryn's raw, emotional, and eye-opening story here. Analia Rodriguez, US Chairman of the Down Syndrome Group, shares her heartwarming and awe-inspiring story of her brother, Eli, and his influence on her life. This is a must read! Read Ana's story here. Nathan Grant publishes "The MPS Sibling"
Do you have a brother or sister diagnosed with Mucopolysaccharidosis (MPS) or a related disorder? Do you ever feel angry, sad, jealous, disappointed, or guilty? Do you get upset when people stare at your brother or sister? If so, read "The MPS Sibling: Short Stories for Brothers and Sisters." In his book, Nathan shares his story about living with a twin brother diagnosed with MPS. In addition to explaining what MPS is, "The MPS Sibling" also includes 28 stories from MPS siblings and families around the world. Read more about the book here. Does your sibling ever become angry or aggressive? Does your sibling live in a residential home or school? If so, read Katie's story. In her story, Katie describes her unconditional love for her brother Brian. Growing up, Katie and her brother were inseparable. However, as Brian became aggressive, Katie's family had to make a difficult decision that many families eventually face: They had to let Brian live in a residential school away from home. As Katie describes, "I felt as if my best friend was taken away from me." Though Katie was sad, she soon realized that Brian was in a safe and supportive environment. The situation helped Katie better understand her brother, as well as herself and her goals. Katie and her twin brother's separation has ironically brought them closer together, and has helped transform Katie into the kind, understanding, and passionate person she is today. Read Katie's inspirational story here. Our Vice-President Chelsey Klenke is participating in a 5K run to raise money and spread awareness for MPS. Please read and support Chelsey's story here. 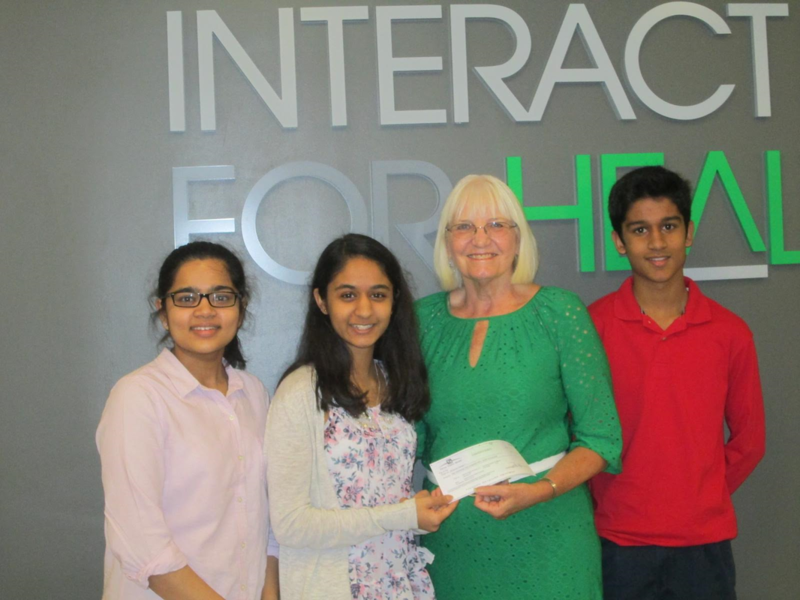 "Sight for Life: Be Inspired to Serve Others,"
Sachi and her siblings created a nonprofit organization to raise money and help kids get access to dental, vision, and primary medical care. As Sachi says, "Growing up, we always heard stories about how generations of our family helped people. My grandfather never let us forget that no matter how young you are, you are always able to make a difference." Read Sachi story, and learn one way you can serve the special needs community here. 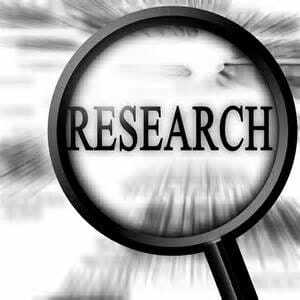 Research is one of the best ways to help families in the special needs community. However, what really is research? And how do you get involved, and when is the right time to get involved? As Manav explains in his article, "All of the research we do is for one main reason, and one reason only - for the people. For patients, for their families, for their friends, for humanity; doing research is one of the most rewarding experiences you can have." You are NEVER too young to get involved in research. As Manav states, "Do not let your age hold you back, chase your dreams! Make a difference in the world! Because you can, and you are the future!" Read Manav's story here to learn how you can get involved in research, and contact us if you have questions. We hope this story inspires you! "Living with Cerebral Palsy: A Sister's Perspective,"
March 25 is National Cerebral Palsy Awareness Day. Cerebral Palsy is a neurological disorder caused by a brain injury or malformation that occurs while a child’s brain is under development. While it can be difficult to live with Cerebral Palsy, Cerebral Palsy does not define one's life. In her story, Aleeza explains what it is like to have a sister with Cerebral Palsy. As Aleeza says, "My sister cannot walk or talk, but instead is rolled around in a wheelchair and make noises as a baby. But you know what, she’s happy! She is essentially the 'ray of sunshine' in the house that has brought our family closer together." Read Aleeza's inspirational story here. Thank you, and Happy National Cerebral Palsy Awareness Day! Follow Kathryn through her tough journey to gain independence. In her story, Kathryn talks about how time away from her brother has given her an opportunity to find herself and face her emotions. As Kathryn says, "I am no longer a refuge of the past at all. I can create my future the way I want it to be. I just need to improvise and focus on myself for a change." Read Kathryn's story here. What do you do when someone stares at your sibling who has special needs? Do you stare back? Do you get angry? This is a challenging situation and many siblings experience this. As Mahisha says in her article, "It is really annoying when people stare. But you should understand that when a person looks at your sibling, surprisingly, it's just human nature. People stare because they are curious. They want to know more." Instead of staring back or getting angry, realize that you have a unique opportunity to understand what it is like to live with someone who has a disability. How special does that make you?! Next time someone stares, keep in mind how special you are and, if you want, use the opportunity to spread awareness of your brother or sister's condition. Read Mahisha's inspiring suggestions here. "The How and Why of Telling a Sib's Story"
The sibling voice is unique and very important. Growing up with a sibling who has special needs can be difficult. Siblings may face challenging emotions such as anger, disappointment, confusion, jealousy, and guilt. Despite this, not many people know about the sibling experience. As Stacey explains, "As I’ve grown and confronted realities of my past, present, and future as a sibling, I’ve realized that sharing my unique story is so important. People who don’t have an experience as a sibling of a person with disabilities sometimes never think about how our lives are different – and at the same time the same – in so many ways. I’ve learned that my story can impact clinicians, policy, community organizations, and society as a whole just from one single ripple effect. Combined with so many others that are creating their own ripples, we have a way to create a wave of change that is meaningful to ourselves and our siblings." Though sharing a story can be difficult, Stacey provides suggestions for navigating the challenges that come with sharing a story. Our stories can raise awareness and support others who are facing similar situations. Please read Stacey's inspiring story here. Then, go and share your story! If you would like to share your story on our website, please contact us. We are always looking for stories to share. Siblings and families in the special needs community may feel isolated and alone. They may feel like no one understands their situation. Having a strong network of support is very important. In her story, Kristina explains that "parents of children with special needs don’t intend to leave siblings behind, but with the hustle and bustle of doctor’s appointments, educational meetings, and therapies, it just happens." Kristina suggests that siblings try to arrange some alone time with their parents. Furthermore, Kristina advises siblings to remember that "while having a sibling with special needs can be hard at times, it also can teach you a great deal of life lessons." So while life may be challenging, remember that you are special and you are not alone. Read Kristina's insightful story here. "Dealing With Your Sibling's Disability"
It can be difficult to accept your brother or sister's disability. This is especially challenging when your brother or sister who has special needs is older than you. In her story, Hafsa explains, "Whilst all our situations are unique, the experiences we share are very similar. There is one thing we all need to accept at some point: we can’t change our siblings. No amount of anger or denial will magically make my brother’s disability disappear nor will it change things in any way. He probably will never lead a normal life and he’ll always need his younger sister to take care of him but that doesn’t necessarily have to be such a hard thing." Hafsa suggests that siblings try to understand their brother or sister's differences by reading about their disability. As Hafsa reminds siblings, "We should cherish [our relationships with our siblings] but at the same time our siblings should not feel like a burden to us. You still have a life outside of your home over which you have control and in which you can do things you like. An extra responsibility should not be the focus of your life because at the end you are still your own person." Read Hafsa's inspiring story here. How much of a difference can two minutes make? You might not think a lot, but in this story, Josh shows us otherwise. Born two minutes apart from his twin brother Jacob, Josh explains how growing up with his brother, who has autism, has changed his life dramatically. In this inspirational story, Josh shares how his brother taught him the importance of compassion, patience, and love. As Josh says, "My experiences with Jacob have shaped me into the person I am today. I have a passion for learning because I know Jacob will never know the secrets of the universe or read the classics. I train hard when I run on the track team because I know Jacob will never experience the liberating feeling of sprinting. I am passionate about playing the piano because I know Jacob will never be able to create stories out of sheet music. I pick up trash after the football games and hold doors open for strangers because I know Jacob will never be able to assist someone else. But he has helped me in more ways than he could ever imagine." As Josh explains, "Jacob has taught me that all the aspects of life must be embraced fully, because you never know what the future holds. Every second should be used, because I know--so well--that two minutes can change a life." Read Josh's incredibly inspirational story here! "Supporting a Friend with Anxiety: Are You Helping or Harming?" Having a friend suffering from anxiety can be difficult, and you may not know what to do during certain situations. In her story, Jennifer explains what it may be like for someone to live with anxiety, and offers some suggestions for how one can best support a friend. As Jennifer states, "You do not need to be a trained counselor to support an anxious friend. You simply need to be understanding." Read Jennifer's insightful suggestions here. "How to Help Your Child with Their Educational Anxiety,"
Do you know a child who experiences anxiety? Do you know a child who faces anxiety when it comes to education or schoolwork? If so, read this story. Not many people understand what it is like to live with an anxiety disorder, and this can make it very difficult for children to learn how to cope during occasionally difficult situations. Educational anxiety is a specific and unique type of anxiety, and children often experience a heightened sense of educational anxiety before and during the first few weeks of school. In his story, Noah explains how parents, family members, and friends can help children experiencing anxiety. As Noah states, "If you sense there is a problem, the first thing you should do is talk to your child about it." Read Noah's story here. "Addiction Fans the Flame of Depression: Two Recovering Addicts Talk About Their Struggle to Find Themselves,"
People suffering from depression are always looking for ways to cope with the sometimes crippling weight of their mental health condition. Sadly, sometimes people choose things that ultimately make them feel worse, like drugs or alcohol. But no matter what struggle you're going through, let Vernon and Dave offer you some hope: they've overcome depression and substance abuse, and are sharing their stories so they can inspire others to seek whatever help they need to live a happy life. Read the story here! "Siblings with a Mission Partners with Orange Socks,"
Siblings with a Mission has partnered with Orange Socks to collect and publish stories about the sibling experience. Our two organizations will work together to increase support for siblings and families in the special needs community. Read the article here. Calling all siblings, families, and interested individuals! Do you have a sibling or family member with special needs? Do you know someone who has a disability? Do you have a story to share? If so, read this article! Siblings with a Mission strives to give siblings, families, and professionals in the special needs community a place to share their stories. By sharing stories, we hope to provide support and increase awareness of what it is like to live with special needs. With more stories, we can provide more support and make a positive impact for siblings and families in the special needs community. 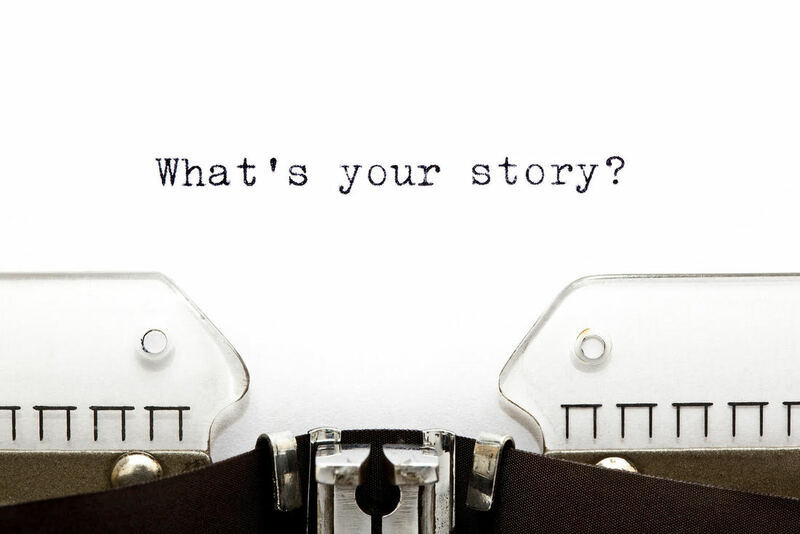 We encourage you to share your story today! Please read this article for suggestions and examples of stories you may want to share, and how you can submit your story today. Read the article here. "Growing Up and Getting Older,"
Many people live with a lot of uncertainty in their lives: What am I going to be when I grow up? Where will I go to college? Will I get married? But for Katy, this uncertainty stems from another place: her brother. In this moving story, Katy describes her fear of growing up with her sibling and getting older, and what that means for her and her brother. Katy explains her fear that her brother will not be accepted by others, and her perseverance in helping her brother become independent. To read Katy’s eye-opening story, click here. What is it like to learn that your child is diagnosed with a rare terminal disease? What do you do to move forward, to help your child? In his story, Avram explains what it was like to find out that his son Kalel has Mucopolysaccharidosis (MPS) II Hunter syndrome. Determined to find help for his son and others, Avram and his wife created the nonprofit organization MPS SuperHero Foundation, Inc. As Avram explains, "Most people won't ever meet their hero, but me, I'm raising mine." Read Avram's inspiring story here. "Embracing Individuality When A Twin,"
Having a sibling with special needs can come with many challenges. These challenges can be especially unique when one is a twin. In her story, Kathryn explains what it is like to have a twin brother with autism, and the challenges she faces. As Kathryn says, "Because my twin brother Brian, who has autism, and I grew up side by side, I found it difficult to separate from him; therefore, I never really had individuality." Kathryn's story highlights some of the common challenges many siblings in the special needs community experience. Read Kathryn's story here. Are you looking for resources that serve siblings in the special needs community? In this article, Bethany highlights several organizations, books, and TV shows that siblings have found resourceful. Check out the helpful list here! "5 Things You Shouldn't Say to a Teen With Anxiety,"
There’s no cure for anxiety, but with treatment, many teens can effectively manage their symptoms. Unfortunately, approximately 8 out of 10 kids with an anxiety disorder do not receive adequate treatment for their condition. Reasons for lack of treatment vary from teens who conceal their symptoms to parents who are embarrassed or unwilling to seek help for their children. In this story, Noah shares 5 phrases you should never utter around an anxious teen. Read Noah's suggestions here. When we think of minority groups in America, we often think of very small groups of people and often along the lines of race, gender, and ethnicity. This article, however, provides insights and statistics about another group: people with disabilities. "In the United States, 1 in 5 people have a disability. In 2009, that was 19% of the population, or about 56.7 million people." While people with disabilities may be perceived as a minority, "disabilities are very common and something that 1 in 5 people in the United States live with every day." With these statistics, disabilities do not seem so uncommon after all. Read some very interesting facts and statistics about disabilities here. 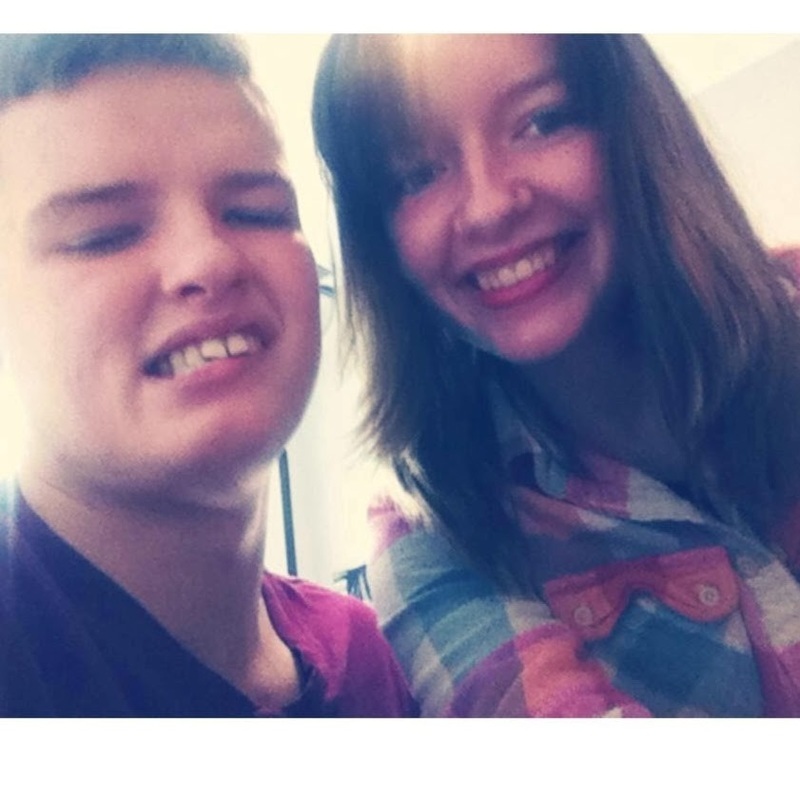 Some people may think that having a sibling with special needs is a completely negative experience. However, as Kathryn explains, having a sibling with a disability can give us a new perspective on life. In her story, Kathryn describes how her twin brother who has autism has shaped her understanding of autism and special needs. As Kathryn explains, "I accepted [my brother], and was quite proud of him, and still am because he encourages me each and every day." Today, Kathryn stands strong in support of her brother and others like him and strives to raise awareness of autism. Read Kathryn's inspirational story here. "Is Disability A Bad Thing? : A Sibling's Perspective,"
What is it like to have a disability? Is having a disability an entirely negative experience? According to Will, it is not. Will Bubenik has 3 siblings who have disabilities and in his story, Will shares how his siblings have influenced his perspective and attitude toward life. As Will explains, “When one starts thinking about how to go about living life with someone who has a disability, they are already on the wrong track. They should think about how they will live their life, regardless of the disability. Sure, my autistic brother may have trouble expressing his feelings, but he is an incredible writer, actor, and performer, something that should be praised, not scrutinized. Will’s story presents the perspective of viewing the ability in “disability.” Read Will’s inspirational story here. Bullying is a universal problem that most of us will face in our lifetime. Millions of people nationwide face bullying each year and it needs to stop. In Halee Jade’s story, we learn about how she and her sibling stood up to bullying and why the most important factor in stopping it is finding support. As Halee explains, "Unfortunately, as a sib, we tend to experience bullying more often than others." To read more about Halee’s encounter with bullying and how she managed to stand up to it, click here. "Story of the Food Snatcher,"
Do you have any funny stories about your sibling? In this humorous anecdote, Perri talks about her brother, Ray, and his love for food. Find out where Ray’s love for food takes him in this funny story here. "Parenting with a Disability: Preparing Your Home and Finances,"
Parenthood can be challenging for everyone. It can be especially difficult for parents with disabilities. Ashley Taylor and her husband are parents with disabilities and have two children. In her article, Ashley provides advice and resources to help people with disabilities prepare their lives and their homes for parenthood. To learn more about Ashley's story and suggestions, please click here. "Siblings with a Mission Partners with Don't Hide It, Flaunt It for 2019 National Siblings Day Project,"
Siblings with a Mission is excited to partner with Don't Hide It, Flaunt It to celebrate the siblings in our lives. 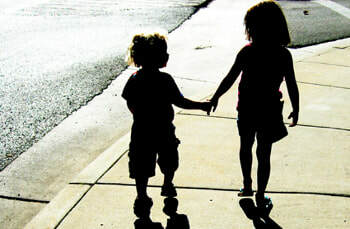 We are collecting and publishing stories from siblings and sibling supporters in honor of National Siblings Day on April 10, 2019. Submit your story today! To learn more, please click here. National Siblings Day is a holiday held every year in the United States on April 10 to recognize the special bond that exists between brothers and sisters. In honor of National Siblings Day, Siblings with a Mission has partnered with the organization, Don't Hide It, Flaunt It to share stories and raise awareness of the sibling bond and sibling experiences. We have received inspiring and amazing stories from siblings around the country and are posting these stories on our websites beginning at the end of March all the way to April 10. Please check out these incredible stories here!